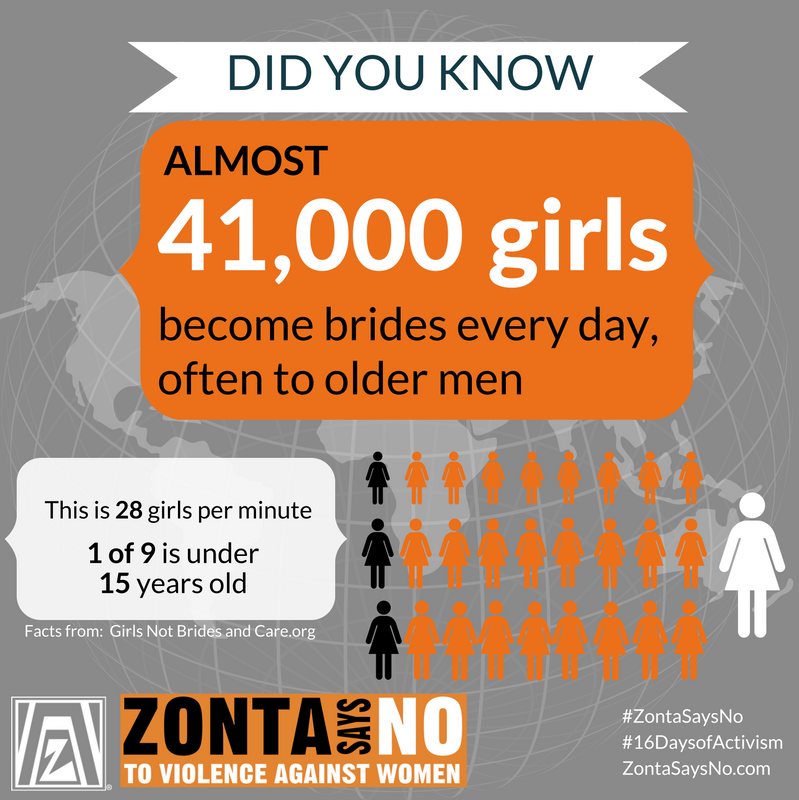 Let’s stop calling it marriage: It’s a crime. 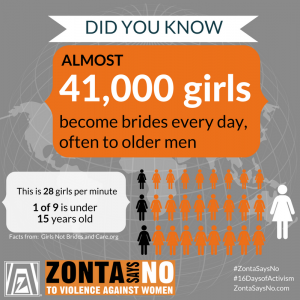 Zonta International is the only private sector partner of the Global Program to Accelerate Action to End Child Marriage at the high level UN meeting that joined many diverse people. Leaders of African states, the African Union, ministers of Canada, Great Britain, and an ambassador of the European Union as well as leaders from UNICEF, UNICEF USA, UNFPA, and UNWomen all joined to fight one of the most harmful practices afflicting women and girls.